Our volunteers come from a diverse range of sectors including hospitality, health care, skilled manual trades, science, academia, the arts, finance, technology and not for profit amongst others. Here a few of them tell us about their experiences of taking part in the programme. 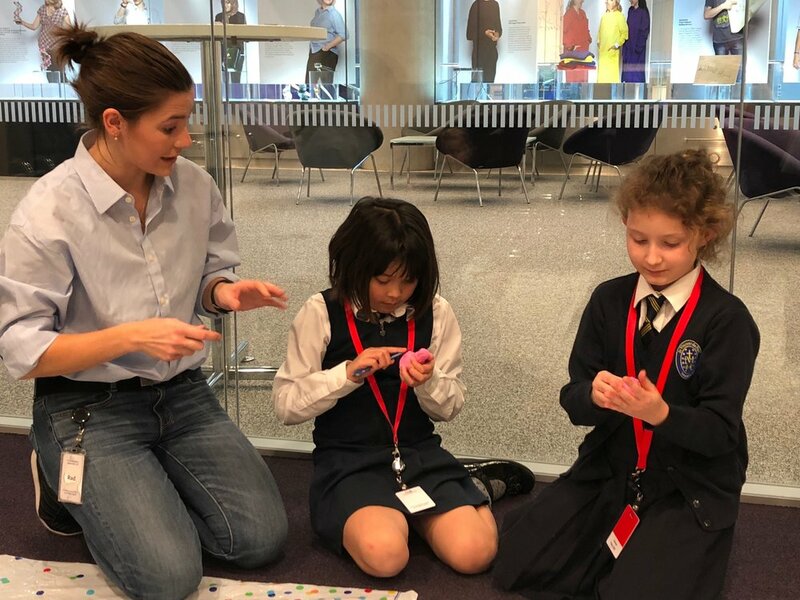 "The I Can Be programme gives me the time and space to get a fresh perspective on my work, and to use a fun activity to really get the pupils to engage with some of the general concepts of developmental biology. I really enjoy watching the pupils realise that I’m a human being as well as a scientist; and that actually I’m a lot more like them than they may have thought when they first walked into the building." "We are very proud to be involved in I Can Be at The Ritz. We have been impressed by the very interesting and sometimes amusing questions the pupils have asked us. We hope that their visits to The Ritz have been rewarding, have inspired the girls to believe in themselves and shown them that women can have very successful careers." "Every visit has been great in its own way, with the girls bringing different perspectives and oodles of enthusiasm. Many leave saying they want to be an author or a book cover designer, and if I’ve inspired any future Commissioning Editors— great! I passionately believe that showing girls all of the opportunities available to them to will pave the way for a more gender-equal world." Carrie Osman - CEO of Cruxy Co.
"Being part of I Can Be is a commitment and one we feel reflects what we stand for - to open the eyes of young girls, install curiosity and help them to see that they can dream big. It really is awe inspiring to see their faces, the excitement & the insightful questions that the girls prepare. I am looking forward to hearing about the wonderful futures of these young girls and to seeing the I Can Be programme scale." "I am thoroughly enjoying my experience with I Can Be! The girls are very engaging and full of enthusiasm for the process. It is a great privilege to be able to provide career inspiration to children who may not otherwise have come across a variety of jobs, including mine." "I’ve really enjoyed being part of the I Can Be programme and meeting all of the young girls who’ve visited Pimlico Plumbers. It’s wonderful to see how much they learn, enjoy and are inspired by being introduced to a workplace they wouldn’t normally know about. It’s definitely more than just a couple of hours away from school. All of the girls ask me so many questions and it’s lovely to see how much they love learning on their visits."